Examples of a few different models of mobile handy-talkies (HTs). These radios are fully programmable and can provide direct (simplex) communications as well as repeater assisted communications. These battery powered radios come in VHF, UHF and dual-band models and provide 1-5 watts of power. Various Motorola brand radio equipment is also used by emergency amateur radio communicators These radios come in VHF or UHF models. These radios provide 1-5 watts of power. These rugged commercial public safety radios can provide direct (simplex) communications as well as repeater assisted communications. A selection of several different mobile radios. Radios such as these are mounted in vehicles or mounted in mobile portable racks. These radios provide high power point-to-point (simplex) communications as well as repeater assisted communications. These radios come in VHF, UHF and HF modes. These radios generally provide anywhere from 25-75 watts of power. This is an example of how mobile amateur radios are mouted in vehicles. These radios provide high power point-to-point (simplex) communications as well as repeater assisted communications. High power mobile radios are also mounted in portable strong and waterproof boxes for rapid deployment to the field. These radios can work off of an internal (12VDC) battery or 110AC. The kit can also be powered directly from a car, boat or truck battery if necessary. (The green box belongs to KH70 in Hawaii and the orange box was built by N6USP in Florida.) Various types of antennas used for base operations of amateur radios. An antenna is an electrical device which converts electric currents into radio waves, and vice versa. An antenna can be used for both transmitting and receiving. 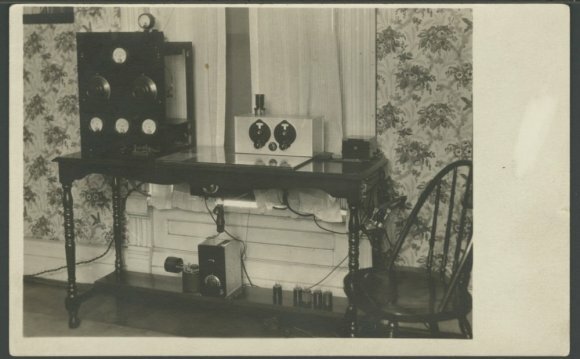 Citizens Band Radio USA, signal 9+20 in Brazil. How to use the built in swr meter on your CB Radio!